The monthly guild fest is one of the most anticipated event every month. The higher tier your guild unlock, the more rewards you can claim. 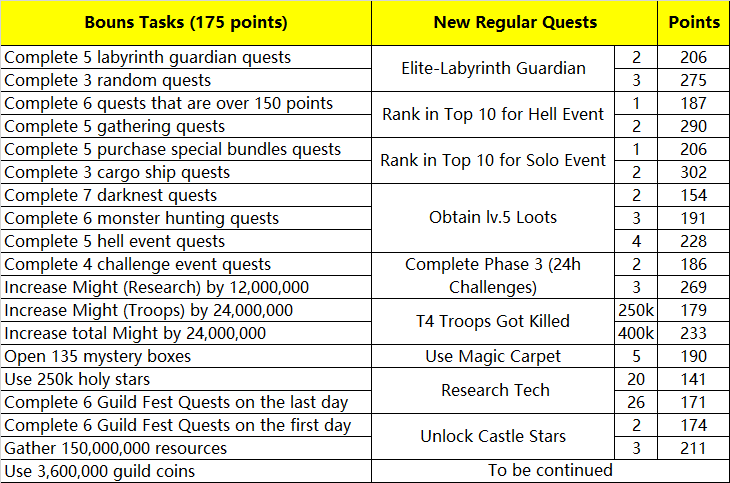 Therefore, I collected a list of new quests added in the recent update. Hope it will help you to figure out which quests are worth doing.